If you're in boat-buying mode and can't decide between gasoline and diesel, here are some pointers. So, your Powerball ticket came through and you're finally going to treat yourself to a boat. 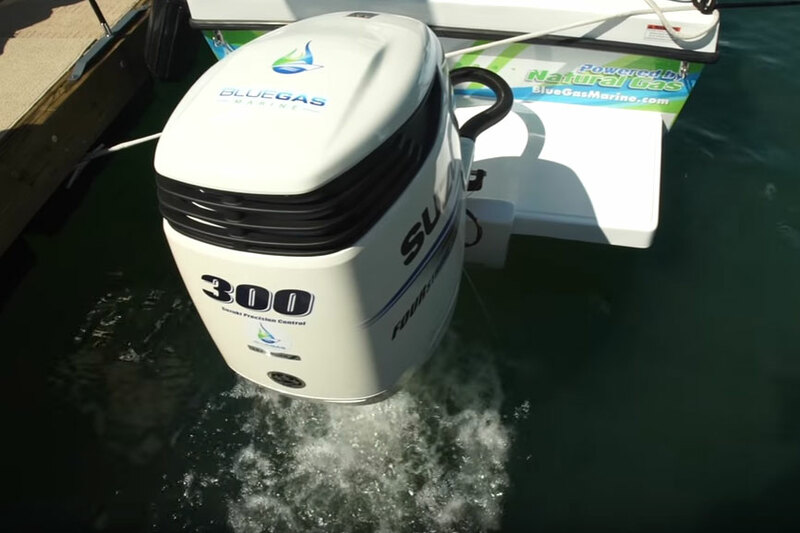 Whether it's new or used, if the boat of your dreams isn't outboard-powered you may need to weight the pros and cons of diesel power versus gasoline power. This is by no means an easy question to answer, because it’s not simply about initial purchase price or the cost of fuel; there are several more considerations to plug into the equation here. Let’s get a look at all of the factors you need to consider before you start blowing your lottery windfall on new toys. 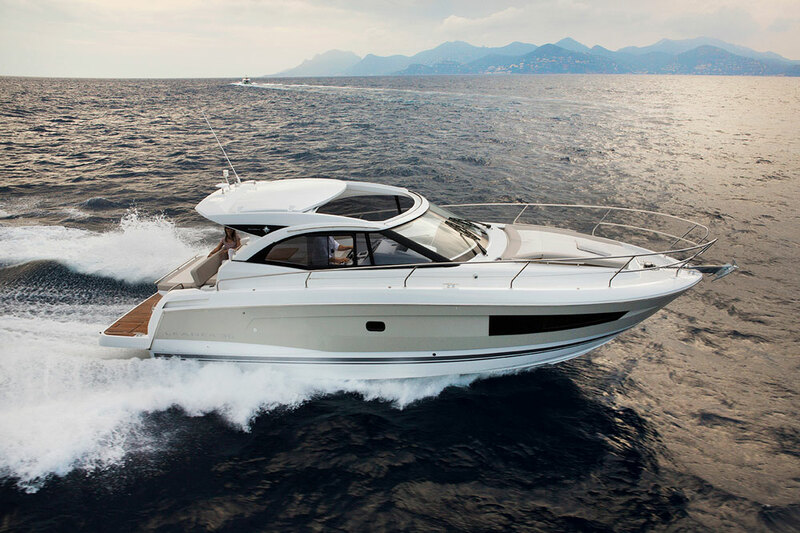 The new Jeanneau Leader 36 is offered with twin Volvo diesels in either 260 or 300 hp, or twin MerCruiser 5.7-liter 300-hp gasoline engines. Photo courtesy of Jeanneau. To begin, you’ll discover that powerboat builders will typically only offer choices of gas or diesel on boats in certain size ranges. 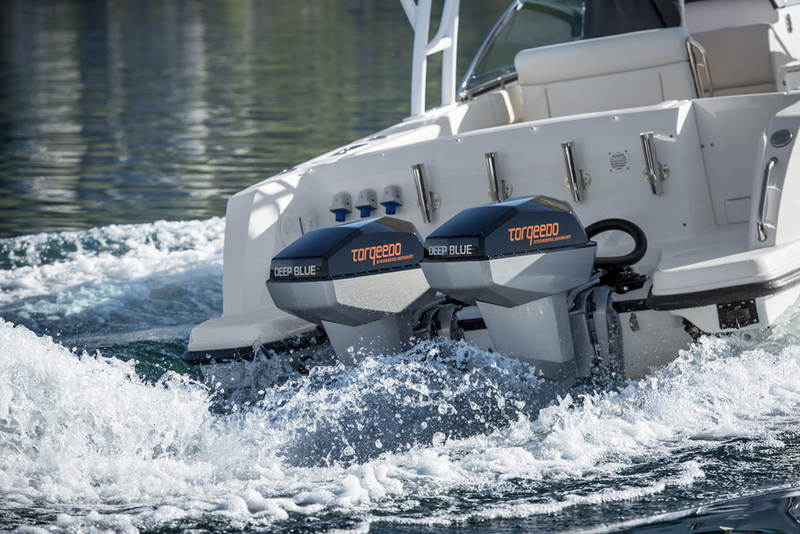 Smaller inboard or stern-drive powerboats up to about 30 to 35 feet in length will typically only offer gas engine power. But when you get into the bigger size ranges you'll often have choices. Beyond about 45 feet, you’ll really only have one choice, and that will be diesel. The reasoning behind this is pretty simple. 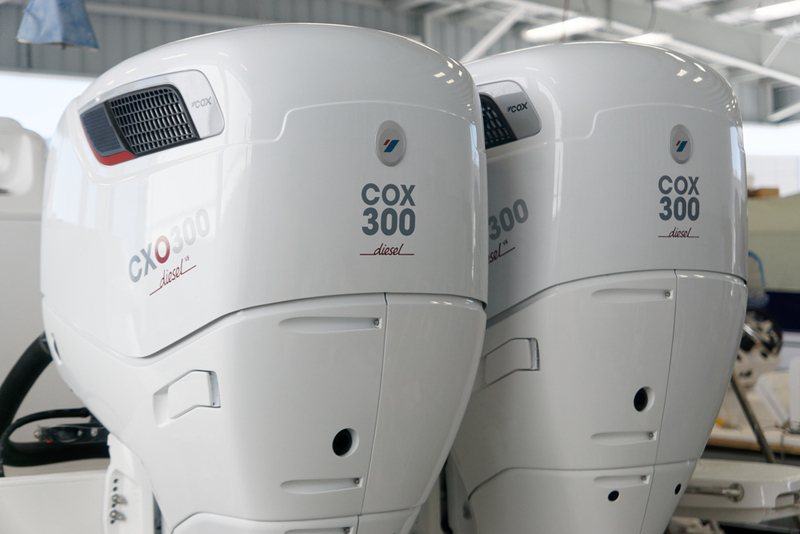 In the smaller boat sizes, price points are critical and extremely competitive. Once you get over about 45 feet, displacement weight really starts to dictate the power requirements, and diesels win out in terms of the torque and horsepower available to get these larger boats up and running. But, in the size range of about 35 to 45 feet there are still plenty of gasoline V-8 engines that can generate enough power to get these boats up and running. It’s safe to say that this experience is not unique to the new Cobalt. 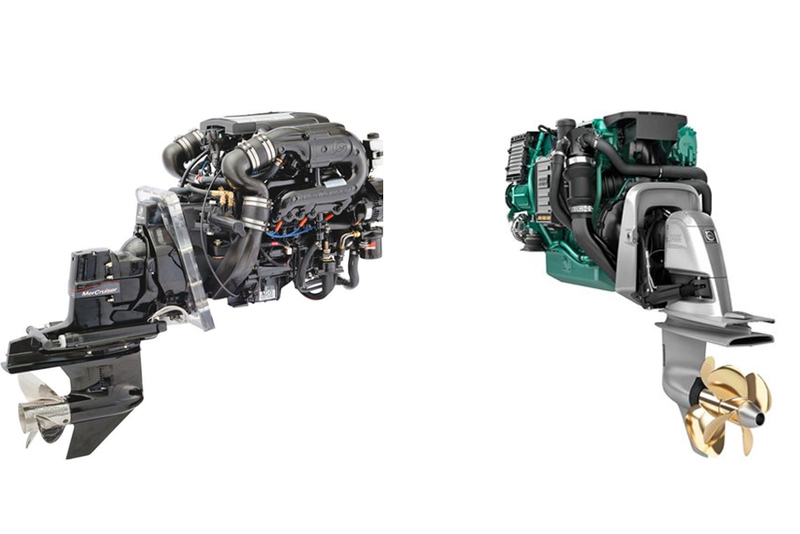 The reality is that the actual performance differences from one engine package to another will vary based on the specific boat, engine torque, and horsepower curves for the engines and propeller choices. The best way to narrow this down is to try one of each version in sea trials and compare directly. You can get really caught up in specifications. The proof is in the sea trial. A Crusader 5.7-liter gasoline engine with multi-port fuel injection. Photo courtesy of Crusader Engines. This also applies to another key concern: decibels. Diesel engines are noticeably noisier than their gasoline-fueled brethren. Boatbuilders are sensitive to this increased onboard noise, and part of any diesel upcharge is going to include enhanced engine room soundproofing. Some builders do better than others. Again, I recommend a comparative sea trial and maybe even a decibel level sound check. If you have a smartphone, you can perform sound checks and add relevant numbers to your test while underway. I use an app called dB Meter Pro and have found it quite useful and accurate. I can’t emphasize the significance of this enough. Excess noise on board when you're underway really detracts from the quality of your recreational experience. You're trying to relax when you’re boating right? Extra noise won’t help. Regarding sailboats, I haven’t seen a gasoline-fueled sailboat with an inboard engine since the late 1970s, so sailors will really never have to ponder this. What about fuel prices? As of March 2016, both gasoline and diesel prices have been plummeting and fluctuating for quite a while. There's no crystal-clear picture of what’s going on by state or even by region when comparing prices from one marina to another. In some places diesel fuel is less expensive per gallon than gasoline. In other places, it's more expensive. In some states, the gasoline available is of the non-ethanol variety, which many people, myself included, would regard as a major plus. In terms of basic maintenance chores like changing oil and filters, diesel and gasoline engines require about the same expense and effort. Doug Logan photo. By averaging both diesel and gasoline fuel costs from 12 different sources I came up with marine gasoline averaging $2.97 per gallon and diesel costing $2.50 per gallon. So on average, diesel is $.47 per gallon cheaper than gasoline at this writing. That’s a plus on the diesel side of the equation. But then you have to consider the typically large upcharge for a diesel engine option. 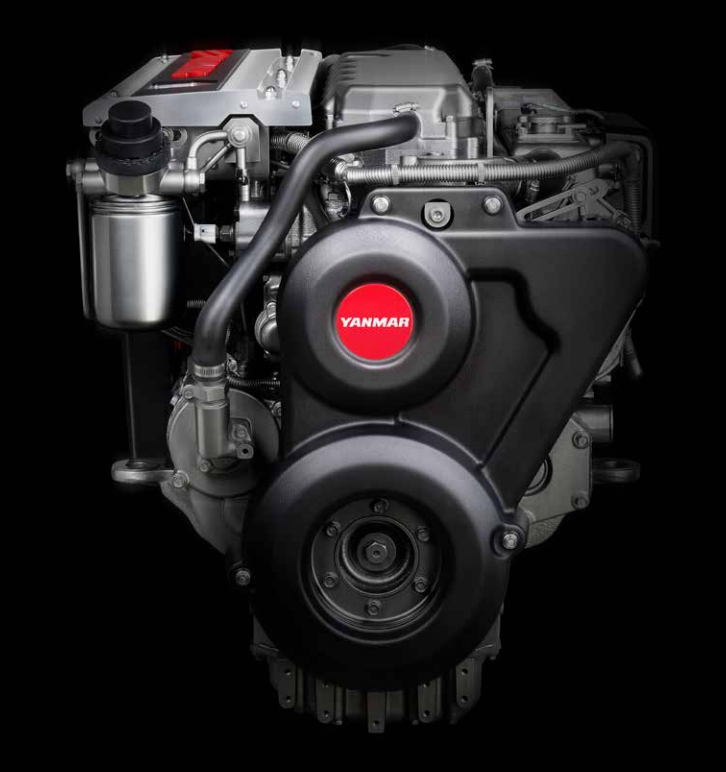 Compare a 320-hp Yanmar Diesel at $38,245 and a Crusader 320-hp gasoline engine at $11,587. That's a $26,658 difference, or $53,316 in a twin-engine boat. That difference that could buy you a lot of gasoline! In general, diesel fuel has about 10 percent more energy potential per gallon than gasoline and, generally speaking, diesel engines are more efficient than gasoline engines. As to which is better in a given boat, it will depend on whether the hull is a planing hull, or a displacement or semi-displacement hull; how it's loaded, and how fast it's typically run. 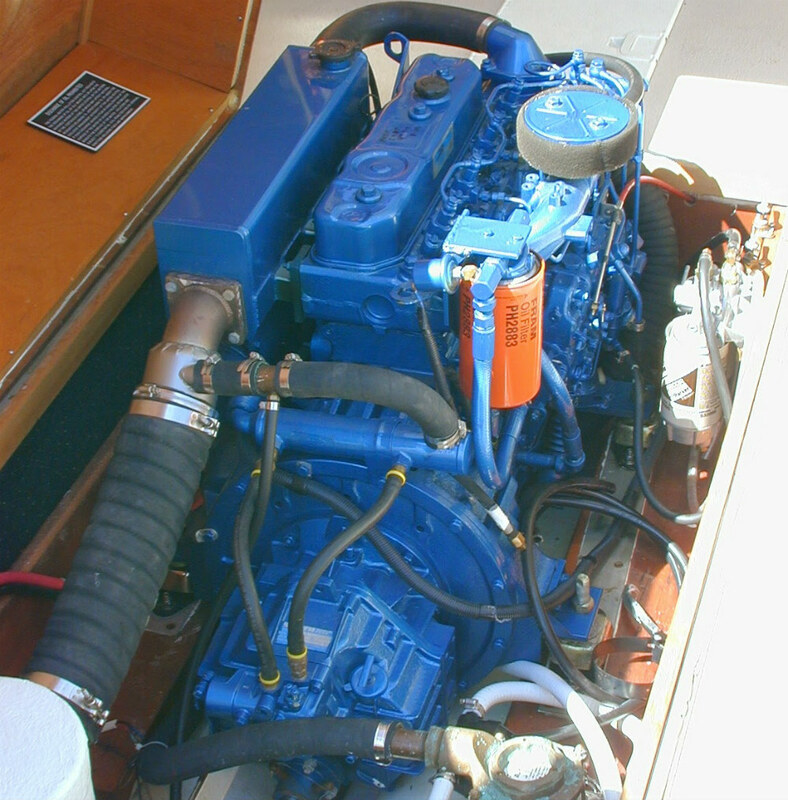 One recent web search compared a Cummins/Mercruiser 320-hp diesel to a Crusader 320-hp gas engine. At max speed the Cummins diesel burned 18.8 gallons per hour. The Crusader gasoline engine burned 21.2 gallons per hour. If you figure an annual engine run-time of 100 hours (about average for recreational powerboaters in the US) the difference there would be about 240 gallons of fuel. Over the lifetime of the boat, or at least the years you own it, these numbers can add up dramatically. It's worth doing arithmetic like this, plugging in the figures for whatever gasoline or diesel engines you're comparing. With the above thoughts in mind, one of the next most obvious questions here has to do with resale value. To help figure this out I chose used-boat average retail prices based on NADA Guides. I decided to look at 2009 model year boats in the 32- to 37-foot range. All of these boats were planing-hull types and available with a diesel engine option. 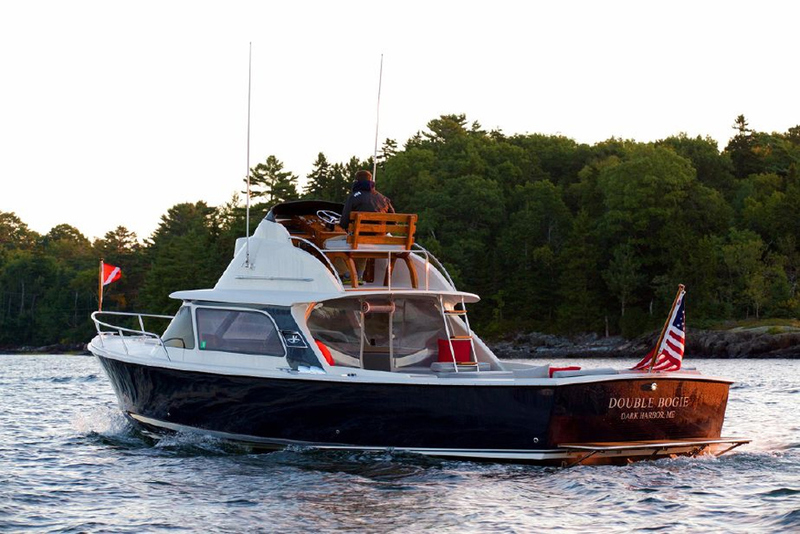 Based on average retail prices, the diesel-powered boats in this group averaged out at just under $25,000 more than their gasoline-fueled counterparts. 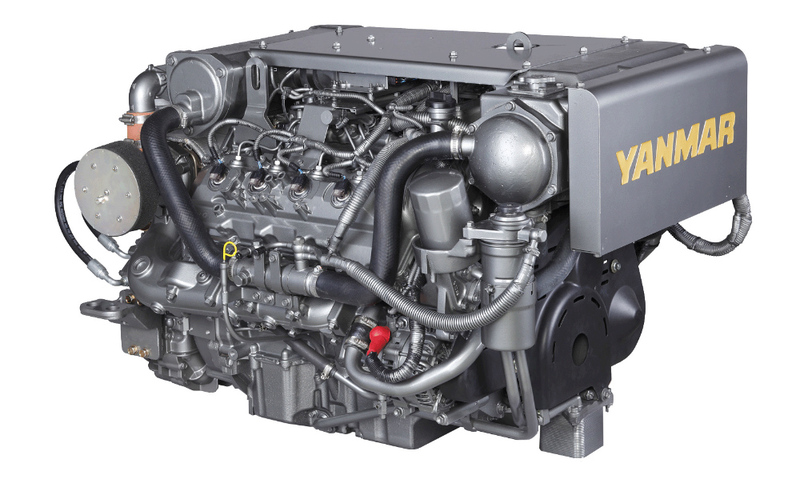 Yanmar's 8LV 320 marine diesel. Photo courtesy of Yanmar. What about maintenance costs? Insurance costs? Enhanced safety? Engine life expectancy? Quicker sell time? Let’s take a look. We’ll begin with maintenance costs. This is an area where much has changed over the last 10 years or so. Modern gasoline engines are all computer-controlled today, as are most diesels of any size in the propulsion-engine realm. This fact contributes not only to cleaner-running engines but reduced maintenance. Historically diesels were considered to be more maintenance-free than gasoline engines, but that was back in the day when gasoline engines had carburetors and distributor-type ignition systems. Today I would argue that the maintenance cost differential between gas and diesels is really not that significant. They both need oil and filter changes, and have (or should have) fuel- and water-separating filters that need attention. Sure, the gas engines will have spark plugs that the diesel won’t, but that added cost won’t get you anywhere near making up for the price differentials we’re discussing here. They all have things like cooling system anodes, engine coolant, and water pump impellers that will need replacing periodically. The bottom line on maintenance? You won’t see that much difference in cost over the average ownership period. What about the life expectancy of the engines? Again, things have changed a bit here in recent years. Back in the days of naturally aspirated diesels, i.e. without turbo or super-chargers, it was safe to say that a diesel engine would run 5,000-8,000 hours before needing a major overhaul or rebuild. Gasoline-fueled engines are typically going to run 1,500 hours before major work is needed. What’s changed on newer engines is simply that the engine folks are tweaking a lot more power out of smaller-displacement diesels to save weight. The engines are typically turbocharged and in some cases have both superchargers and turbochargers installed. This adds up to considerably more stress on the engines. Granted, diesels are built to withstand much higher combustion pressures and heat, and are inherently stronger than similar-sized gasoline engines, but today they are also subjected to a lot more stress than diesel engines in common use 15 or 20 years ago. 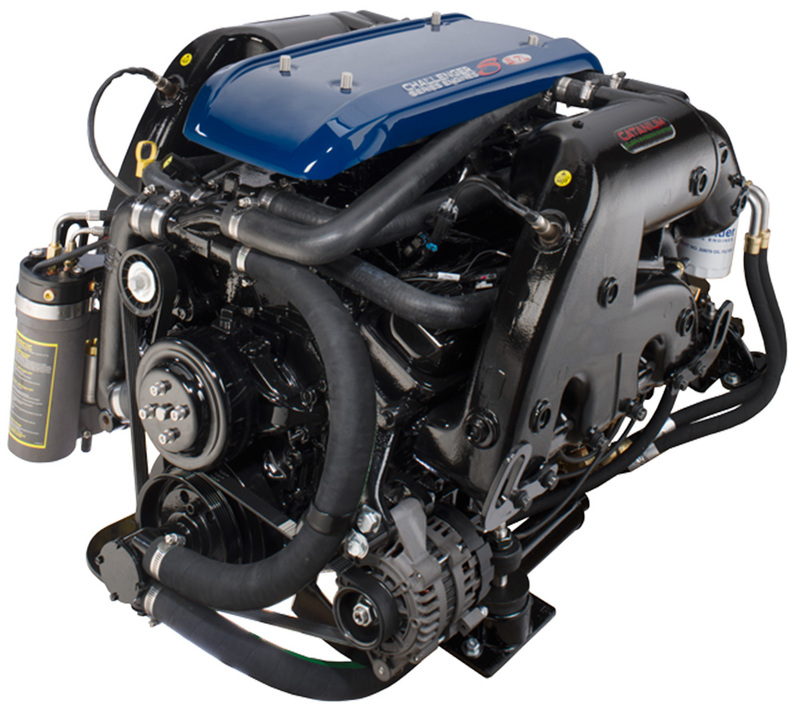 I’ll bet you’d be hard pressed to find a diesel-fueled offshore sportfishing boat that’s getting much more than 1,500 to 2,000 hours of run time on its engines. These boats are pushed hard without much regard to longevity; speed to the fishing grounds and back home is the top priority. For the average diesel-fueled sport-cruiser, running conditions will undoubtedly be less strenuous. It's safe to say that diesel engines will last longer than gasoline engines by a considerable margin as long as routine maintenance is performed. But if a catastrophic failure occurs, replacement of the diesel will of course outweigh the replacement of a gasoline engine by a significant amount. Remember those numbers above for the Yanmar and the Crusader. What about insurance costs and overall safety? The perception in the field is that diesel-fueled boats are significantly safer than gasoline-fueled boats. I would argue that historically there is truth to that. 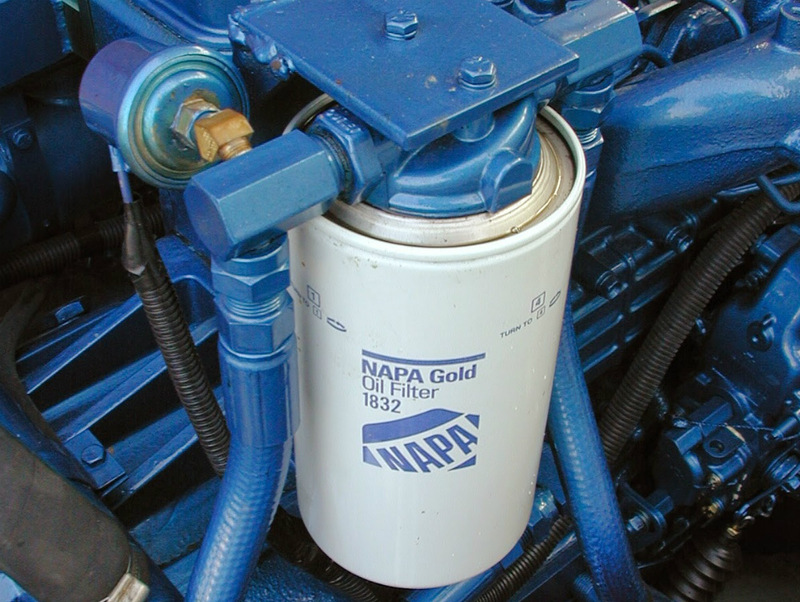 But between the USCG regulations regarding fuel and ventilation systems for gasoline-fueled boats, and ABYC standards that are applied to the vast majority of new powerboats built in the US, I’m of the opinion today that newer boats offer as much inherent safety as possible, whether fueled with gasoline or diesel. Statistics bear that out too, at least until the boats get to be 15 to 20 years old. At that point, gasoline fuel systems will most certainly begin to develop problems with failed hose clamps, fuel hoses, and lines that need replacement, and even metal fuel tanks that can become perforated due to corrosion. ABYC recommends at least annual inspection of all gasoline fuel systems—something often neglected in the field. After questioning several insurance providers, I wasn’t able to find any significant savings in annual insurance costs with diesel power versus gasoline power, although there were slight differences that had more to do with higher replacement costs for diesel-powered boats. Finally, I interviewed a yacht broker who sells a lot of boats in the size range we’re discussing here. His comments were quite telling. He said that one group of his customers only keep their boats for five or six years, then often move out of boating altogether due to age and changing interests. He says that this group often only uses their boats as waterfront homes at the marina and actually spend little time underway, effectively eliminating any potential for payback by owning a diesel-fueled boat. A different group of his customers will use their boats as retirement homes and migrate from north to south and back again each year, actually putting some serious hours on their engines. Depending on when they decide to move back to terra-firma they might see a partial payback for their choice of diesel over gasoline propulsion, but even then it was improbable that they would run enough total hours to recover that initial upcharge. When I asked about used boat buying and selling he was very quick to say that the diesel-fueled boat will always sell much more quickly, and will nearly always command a higher selling price. When I asked him by how much, he was quick to say $20,000 to $30,000, matching what I had learned in my research using the NADA Guides. He also felt that the perception among buyers was that diesels are generally more reliable and safer, regardless of any statistical data. Given the choice, he would always prefer diesel boats in his inventory over gasoline in this size range. So, in the end, this whole matter of gas vs. diesel is really going to boil down to what you want to do on the water, how much of your Powerball winnings you want to spend, and, to a certain extent, on how long you plan to keep the boat. 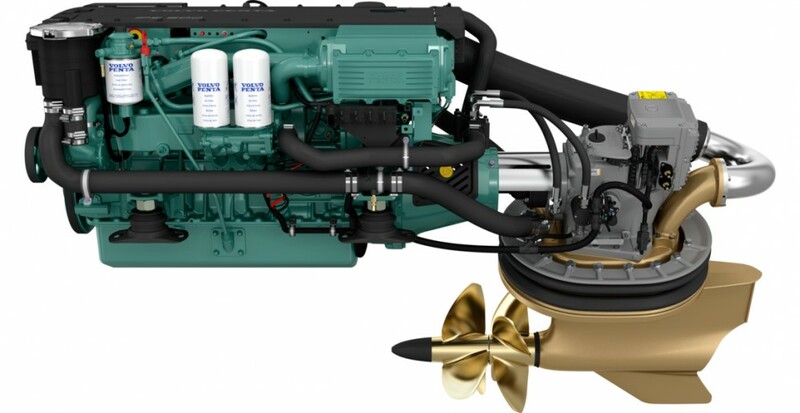 On one hand, diesels are still considered the premium power option for pleasure and fishing boats in the size range we've been discussing. On the other hand, unless there's a significant split in fuel prices in favor of diesel, and you run your boat a lot and for a long time, you're not likely to see a genuine financial gain by choosing diesel over gasoline power. My advice is to do your best to try whatever model boat you're considering with both a diesel and a gasoline engine propulsion package and see how it feels. 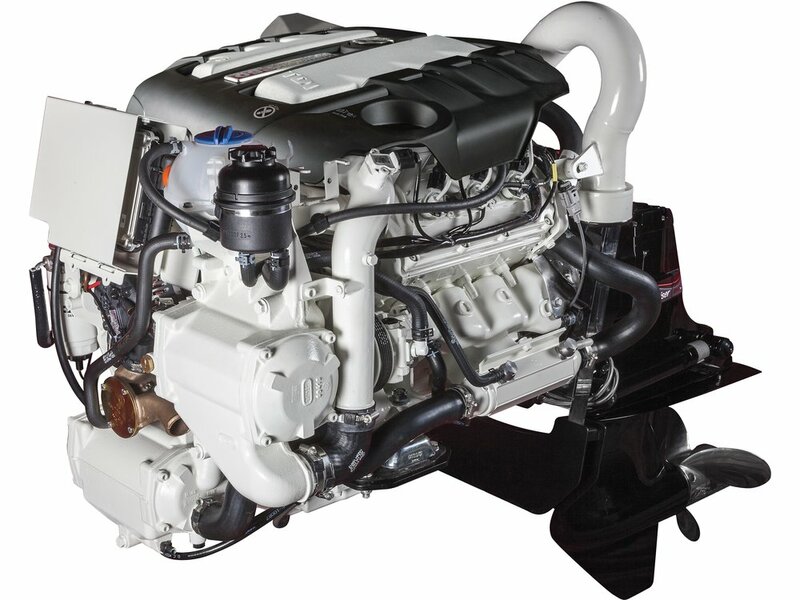 Make an honest estimate of how many hours a year you'll be running the engines, and remember that you're going to need to get a considerable amount of use out of your new boat even to get close to recouping the cost differential between gasoline and diesel engines. All that said, remember that I've been comparing average retail prices here. You may just find a dealer who will be happy to offer a significant discount on that new diesel version, which could just tip the scales in the right direction.